Arsenal Legend David Seaman has advised the club summer signing Bernd Leno to be patient as he plans to replace Petr Cech in Arsenal goal. 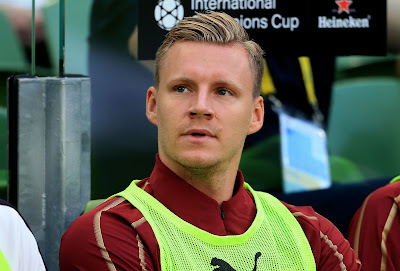 Bernd Leno joined Arsenal from Bayer Leverkusen during the summer transfer window and the German is yet to be handed his debut by Arsenal coach Unai Emery has he preferred Petr Cech in goal. Seaman has however backed Unai Emery's decision to stick with Petr Cech and reveal it would have been wrong for Emery to throw Bernd Leno into the starting eleven immediately. Seaman also added that Leno's absent from the team also means he has the chance to learn from Cech and see how the game is played in EPL. Do you think Unai Emery need to bring in Leno quickly into the starting eleven?